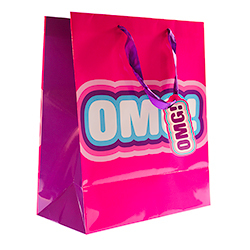 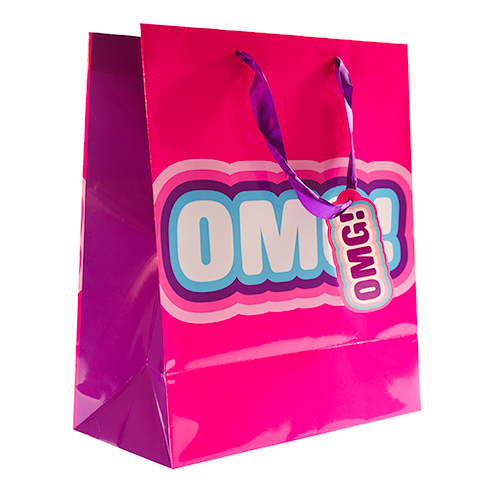 These fantastic OMG gift bags are just the thing for presenting somebody with a great present or creating goody packs for all of the girls before the night out. 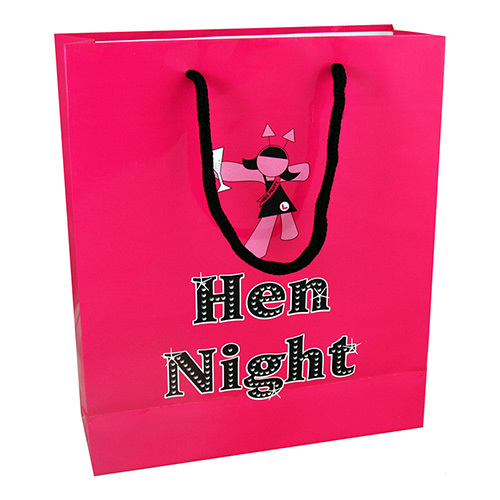 With two sizes to choose from you can select the option that's righ for you. 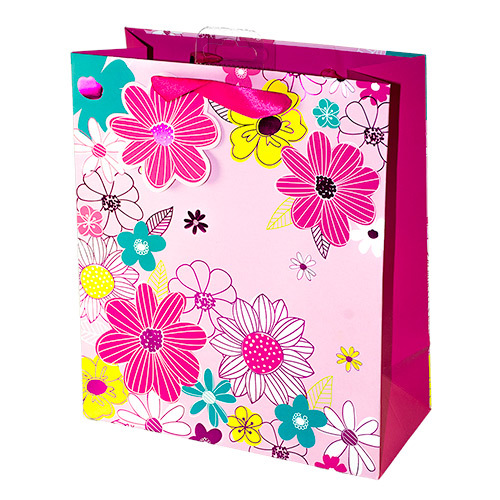 The bags are pink with a white glitter design which also has a blue and purple surround. 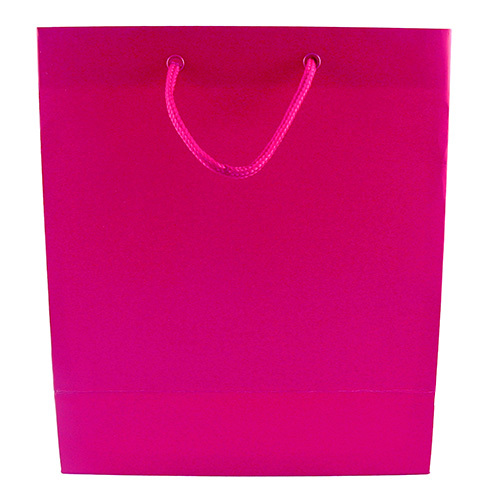 The handle is made from a beautiful purple ribbon and there is also a gift tag attached. 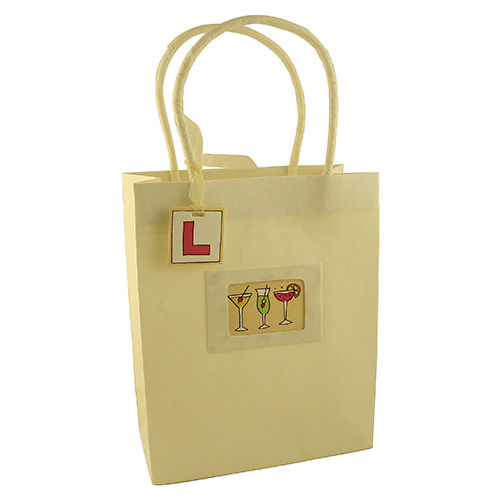 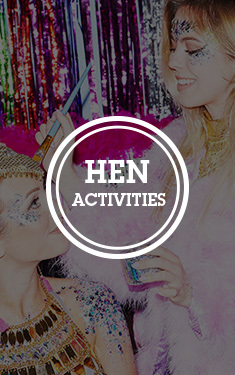 Take a look in our gifts section for ideas on what to fill this with. 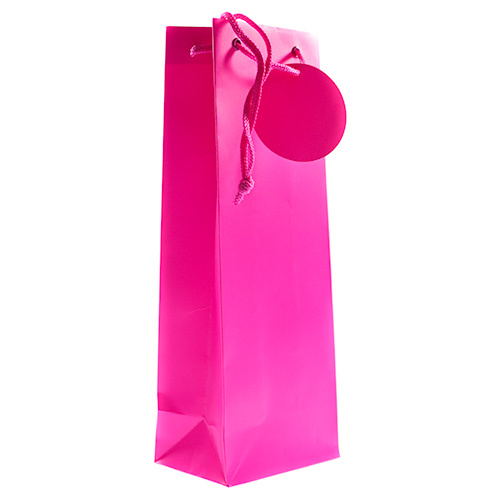 "Great size to fit all that is needed."